The CP spray kit complies with OSHA’s Table 1 of engineering and work practice control methods on CP’s handheld breakers, rivet busters and chipping hammers. Chicago Pneumatic Power Technique (CP) has introduced an OSHA-compliant dust suppression spray kit to the marketplace. The 36-in. retrofit kit can be attached to any size CP tool, including handheld breakers, rivet busters and chipping hammers. The retrofit dust suppression spray kit is equipped with a mist nozzle, capable of dispensing six gallons of water per hour. The nozzle can cover an 80-degree cone around the tool at 40 lbs. per sq. in. (psi) of pressure. The water delivery system minimizes worker exposure to harmful silica dust with a continuous spray of water at the point of impact, flushing out the dust before it becomes airborne. 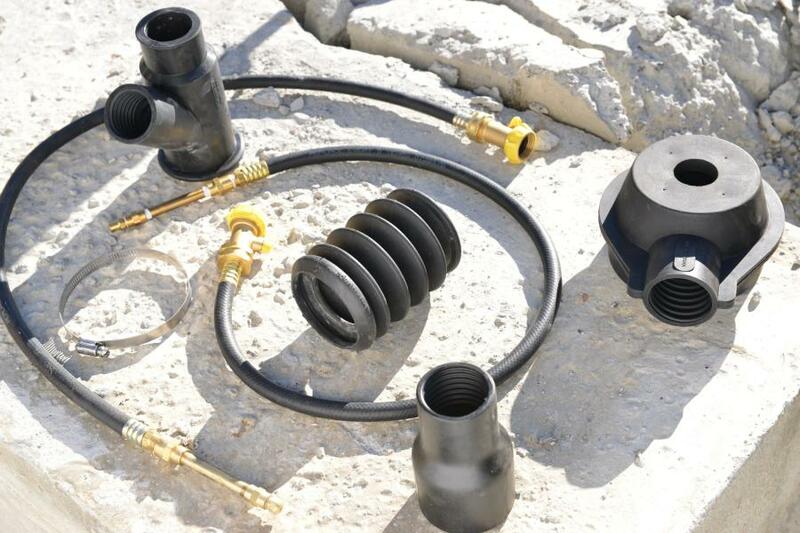 Simple to use, the kit connects to a garden hose for easy access to any water source on the job site. The effective and affordable kit enables operators to meet the requirements of the standard without difficulty or disruption on the job. The CP spray kit complies with OSHA's Table 1 of engineering and work practice control methods on CP's handheld breakers, rivet busters and chipping hammers. This is in response to OSHA's new Crystalline Silica Rule that went into effect in late September this year. The new regulation protects construction workers from exposure to respirable crystalline silica. Indoors, four hours or more: APF 10 dust mask or elastomeric that needs to be fit tested. The CP spray kit is now available on the U.S. market. For more information on CP's handheld tools or other products, visit www.cp.com.